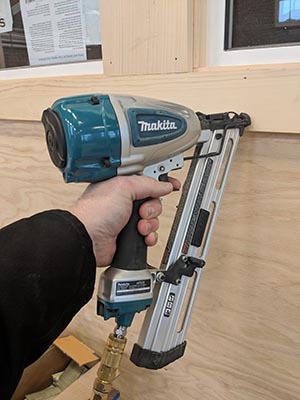 While cordless finish nailers are improving quickly there’s still a place for pneumatic finish nailers on the job site. 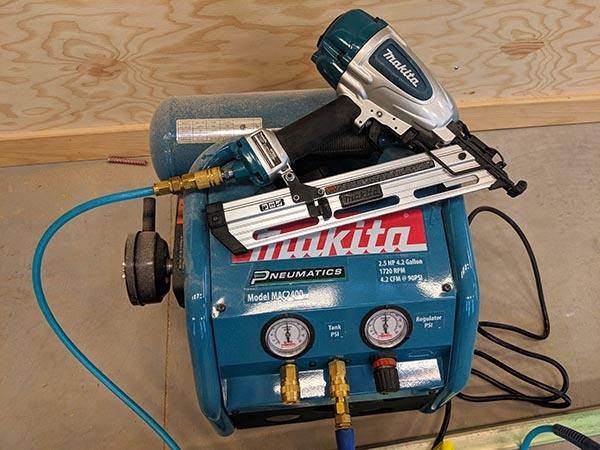 We recently tested one of Makita’s newest pneumatic finish nailers (Makita AF635 Finish Nailer) on a job finishing out a commercial building renovation. The Makita AF635 15 Gauge Angled Finish Nailer is a professional grade, light weight finish nailer packed with features. Every once and awhile I pick up a tool and right away fall in love with it. 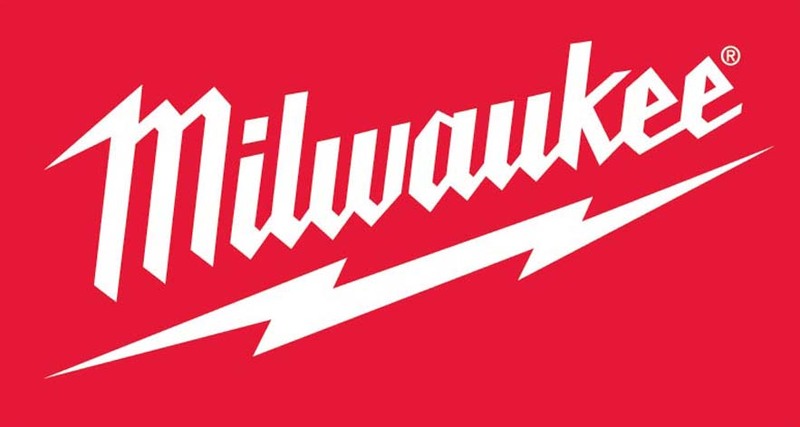 The tools that I find myself liking the best are ones with clean lines, great ergonomics, and performance that speaks for itself without flashy bells and whistles. The Makita AF635 fits that category for me as I was impressed with it from the minute it came out of the case. The most notable thing about the AF635 is how well balanced it is combined with a very comfortable grip. Weighing only 4 pounds due to the magnesium housing and aluminum magazine this finish nailer is well suited for all day use. While the grip is a simple rubber overmold it feels very comfortable and natural in the hand. The AF635 easily drove 2-1/2″ 15 ga finish nails into White Pine trim and also 5/4 Southern Yellow Pine stair treads in our testing. 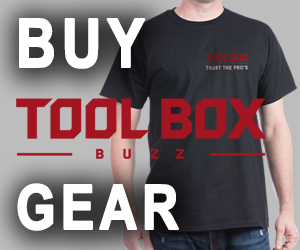 The tool-less nose is easy to remove in order to clear jambs and the no mar tip stays in place nicely and provides protection for the work piece. 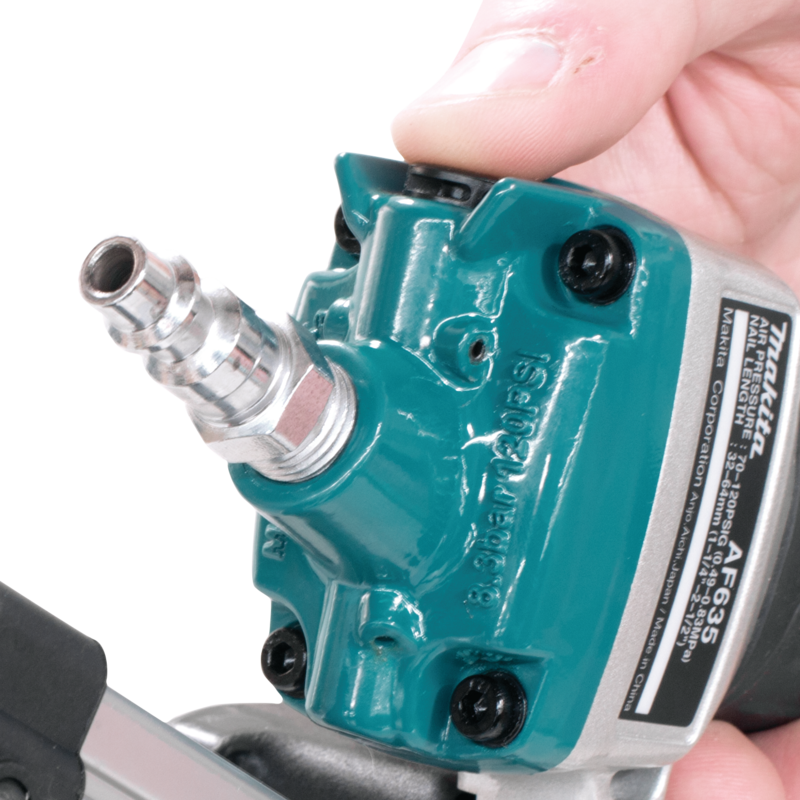 The Makita AF635 has some simple to use adjustments that make operation very easy. With the flip of a knob you can switch between Single Sequential Operation and Contact (Bump) Actuation Mode. The knob is conveniently located next to the trigger for easy access. The tool-less depth of drive is also located just below the trigger allowing easy adjustments to the fastener drive depth. Another feature that I really like and appreciate is the rear loading magazine. I really “hate” the top loading versions on the market, I’m not sure why, but rear loading magazines are my preference so it was nice to see on this model. 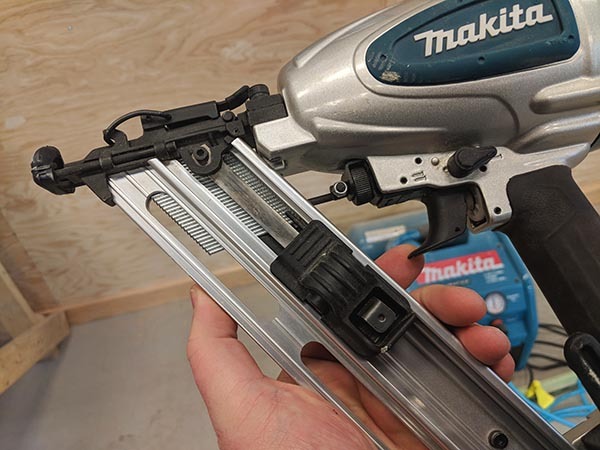 To load a strip of nails users just slide the strip into the rear (no need to pull the pusher to the rear) of the magazine, then pull the pusher to the rear and release it. 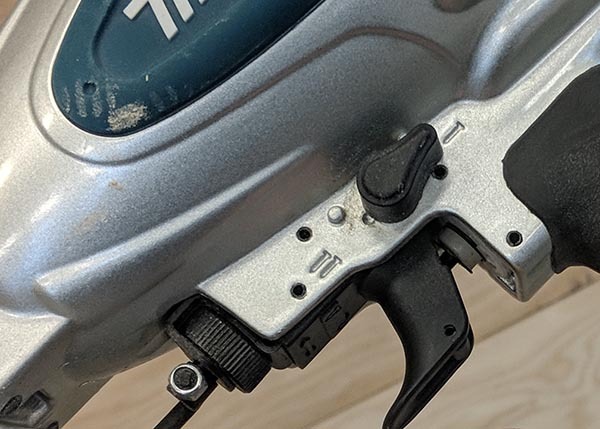 The Makita AF635 15 Ga Angled Finish Nailer is one of the nicest 15 ga finish nailers I’ve ever used. 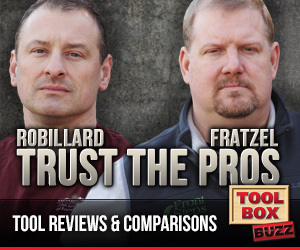 The fit and finish of this nailer is exceptional and it performs very well. It’s designed with simple yet effective controls and it’s light weight makes it extremely comfortable to use. My only slight gripe is the lack of information on the magazine about the nail angle (34 degrees). While many users recognize that “DA” nails are 34 degrees, many other do not and when you send someone to the lumber yard for 15 ga angled nails it’s certainly possible that he returns with “FN” style nails that are only 25 degrees. 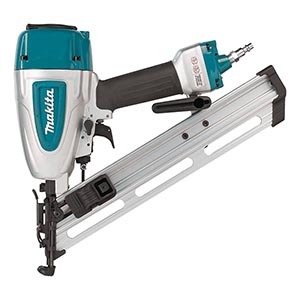 At any rate, this is an exceptional finish nailer and priced under $200 it’s a great value. 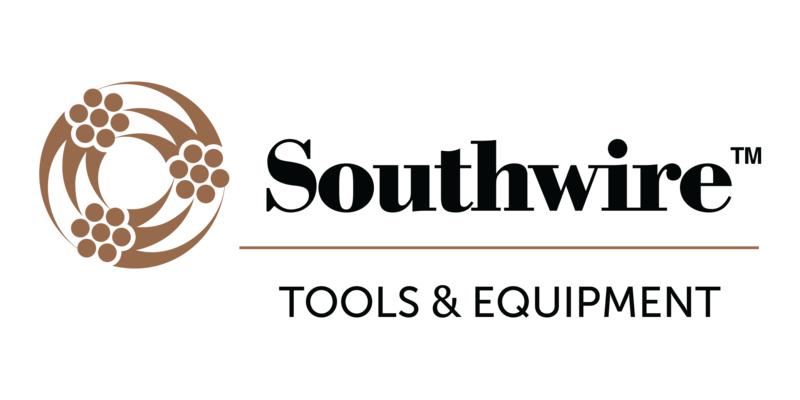 If you’re in the market for a 15 ga angled finish nailer look no further. You’ll be very happy with this nailer! Good timing in this write up. 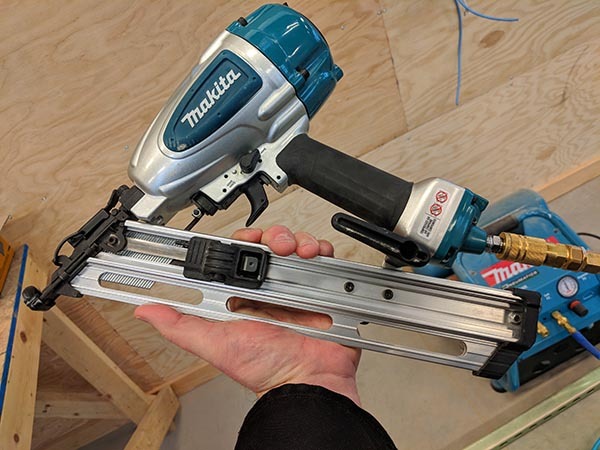 I’ve been eyeing a new nailer to replace my old Porter Cable 15 ga and am a big fan of Makita but opinions on these aren’t as common as other nailers. You mention the air duster, but I cannot see where the operation for that is; is it similar to the Hitachi nailers? There is a button at the rear of the handle, just above the hose connection…you press it and air shoots out just below.